Paa Langebro. Folkekomedie. Copenhagen. 8vo. 22 pp., final blank f. Publisher's original printed wrappers. First edition. 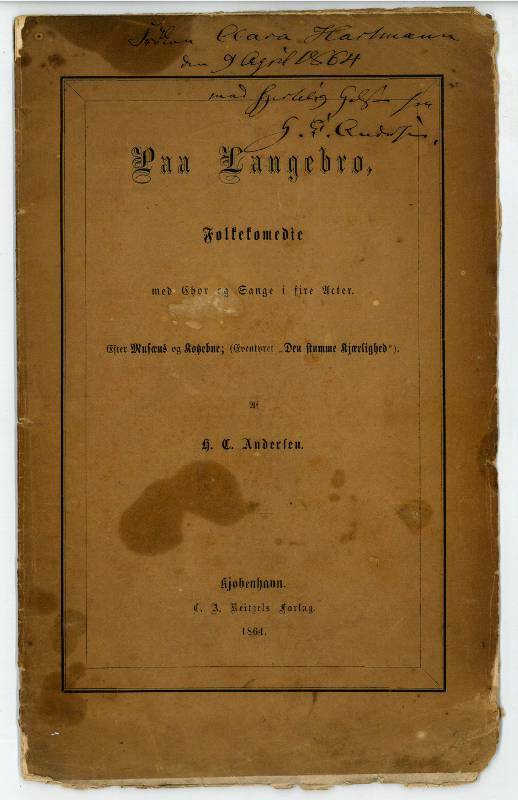 - In the scarce original printed wrappers, with a signed handwritten presentation inscription from the author: "Frøken Clara Hartmann / den 9 April 1864 / med hjertelig Hilsen fra / H. C. Andersen". 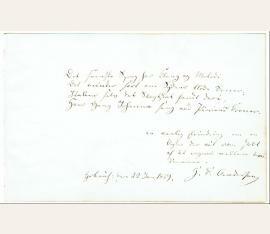 Clara Hartmann (1839-1925) was the daughter of the Danish composer Johan Peter Emilius Hartmann. - Cover stained; some edge fraying thoughout. An untrimmed copy as issued. 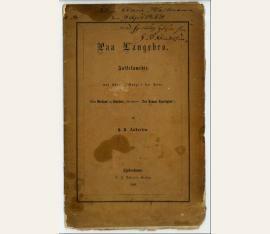 Eigenhändiges Albumblatt mit Widmung und Unterschrift „H. C. Andersen“.